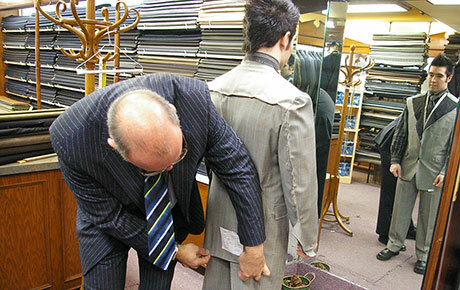 At Mayeu’s, hospitality begins with a stern concern for getting to know you. 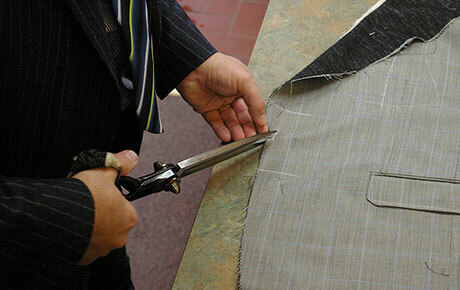 Customer service starts with a complete and precise sheet that will not allow room for mistakes or improvisation. 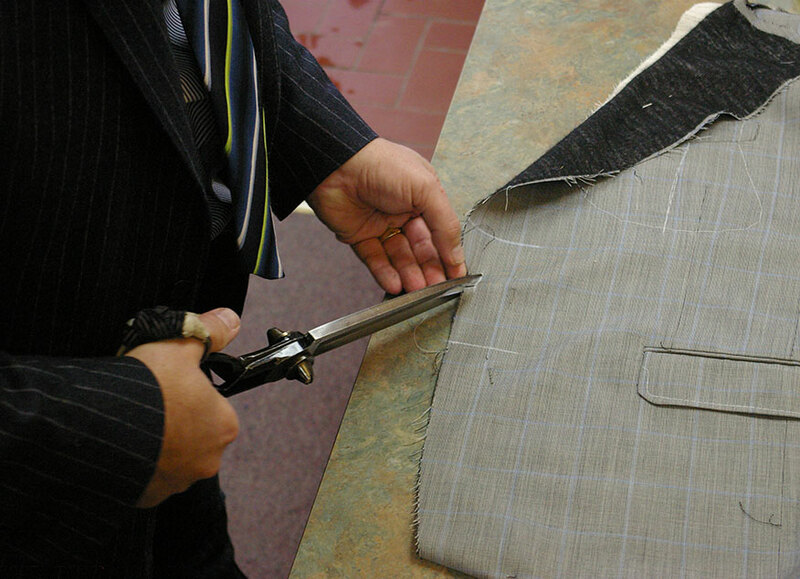 For us, quality blossoms through precision. 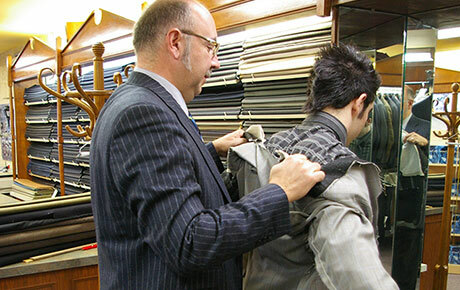 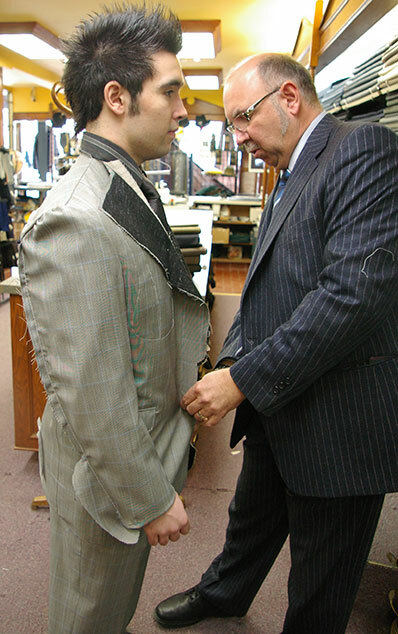 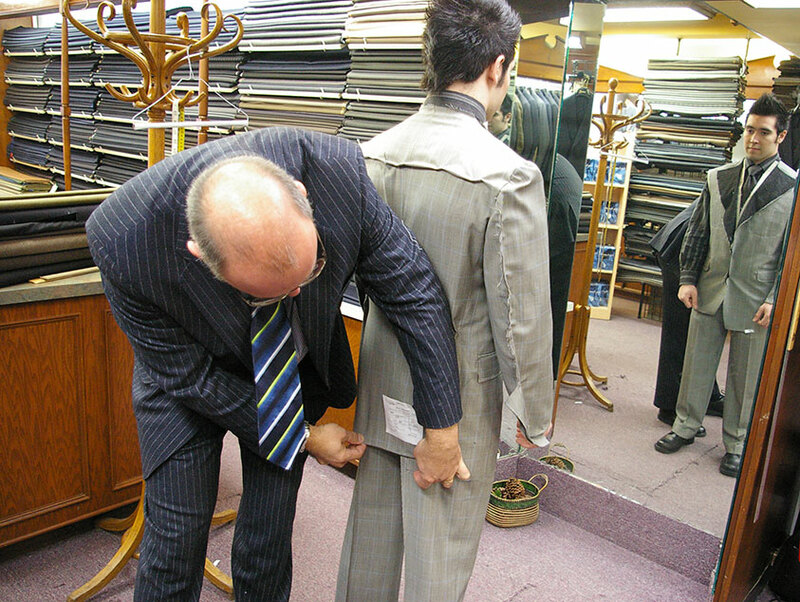 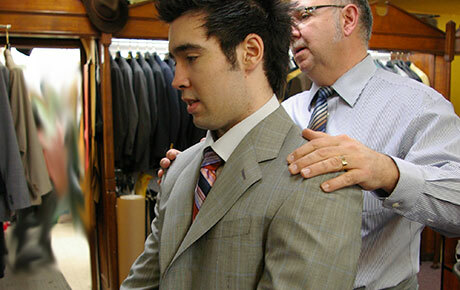 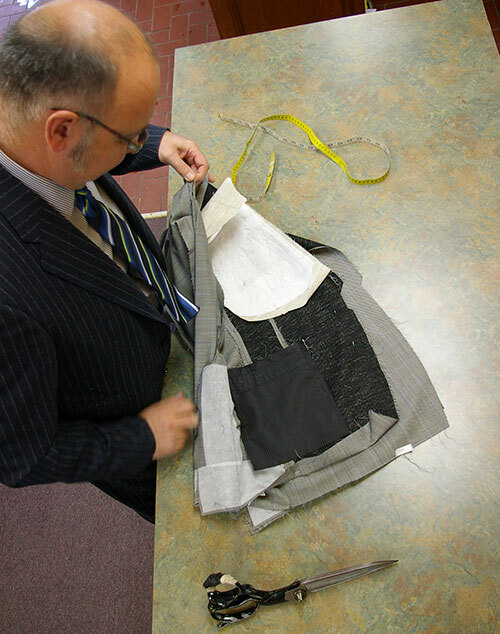 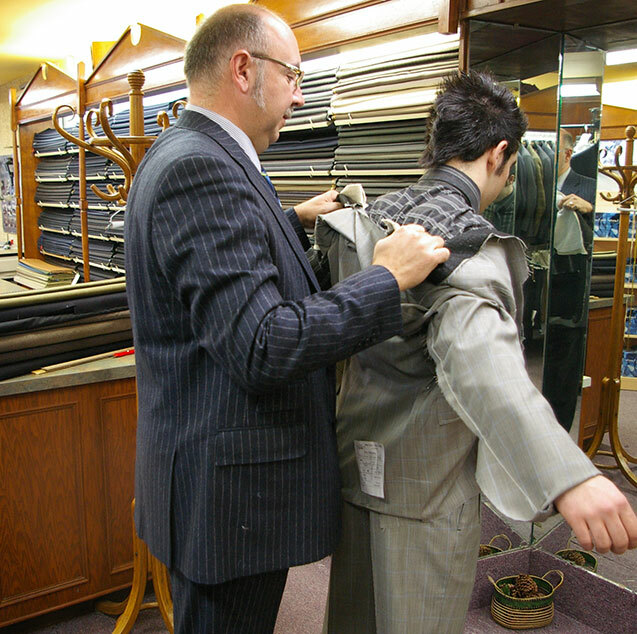 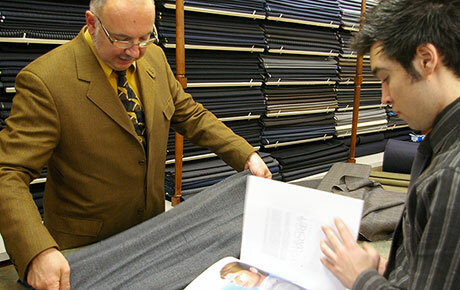 On-measure clothing allows you to choose from the best tissues in the world, with the help of your tailor. 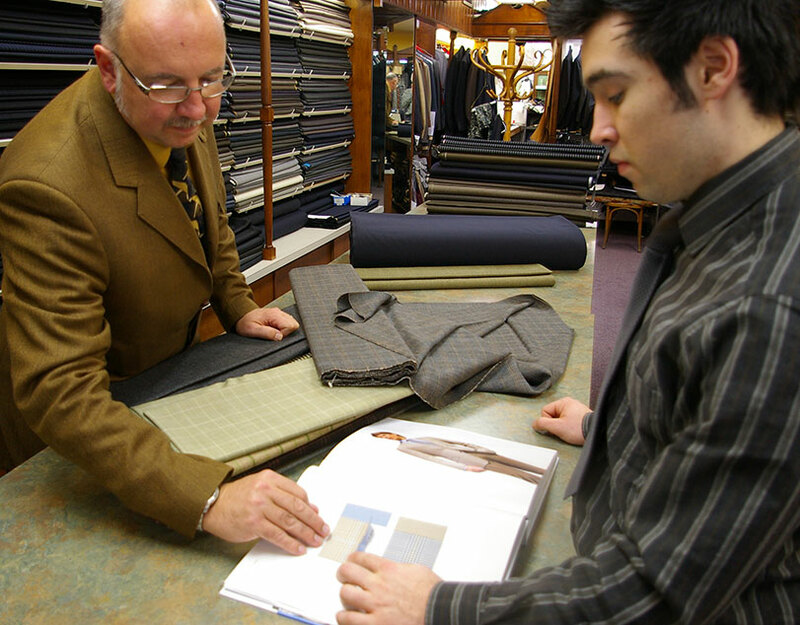 There are thousands of choices, which means there is one perfect for you. 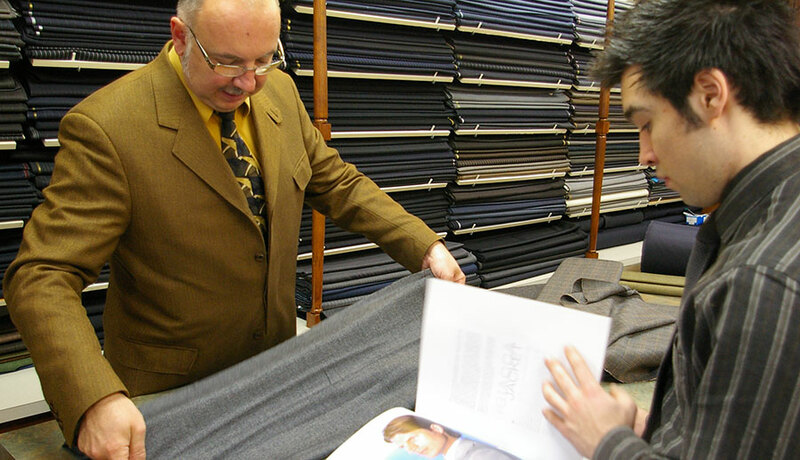 Supple and comfortable fabric, prime-quality fabric, fabric of exquisite texture and drawing, fabric that will define you better than any other. 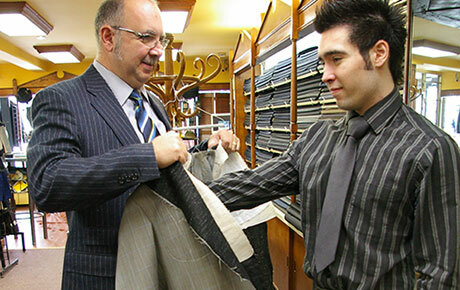 It will be YOUR fabric, the one which will underline your personality. 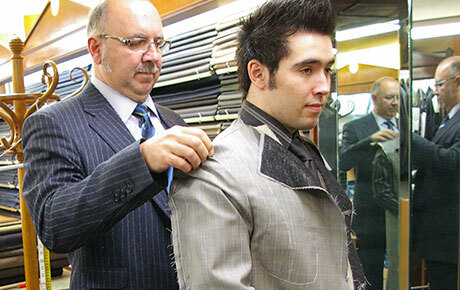 Mayeu, your tailor, knows you. 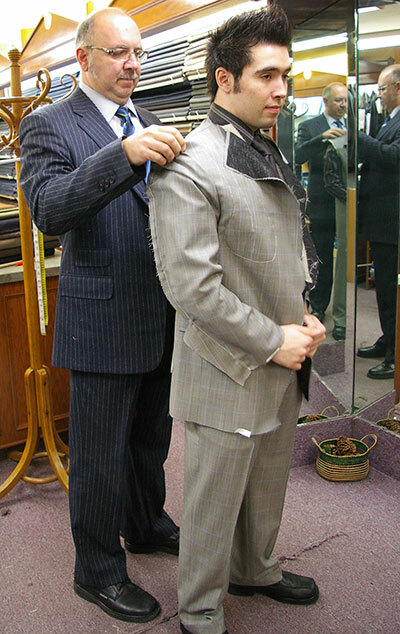 He measured your size; you told him of your suit’s purpose and of your tastes and daily habits. 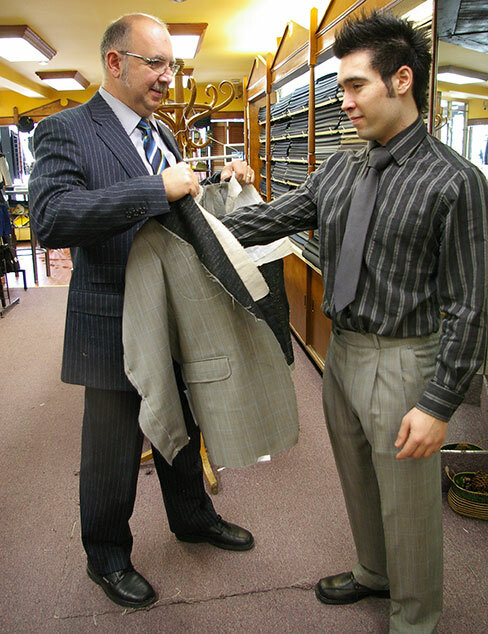 With you, he will explore through the entire selection of jacket cuts and fashion leg wear. 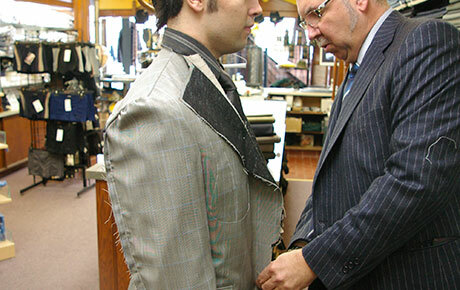 Even better, with his expert’s gaze, he will show you what meshes more with your personality. 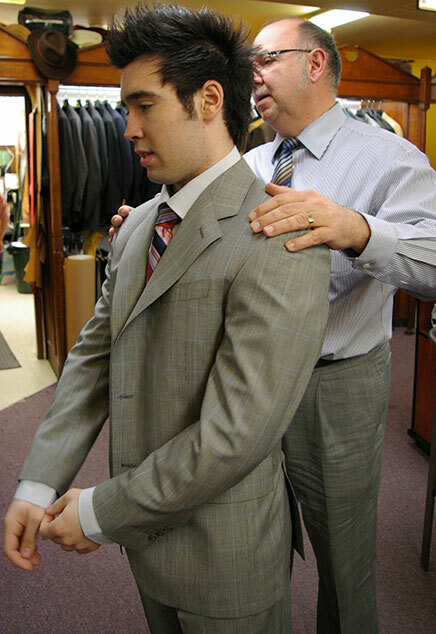 He has elegance in sight, like his father before. 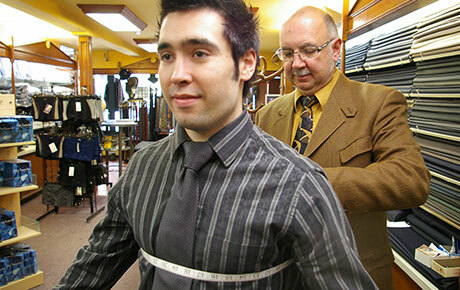 On-measure will bear it’s name well if the body is measured with precision by an experiences tailor. 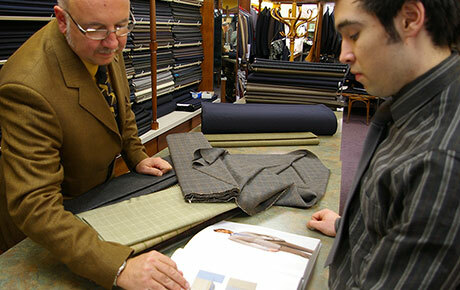 At Mayeu’s, it is the childhood of art. 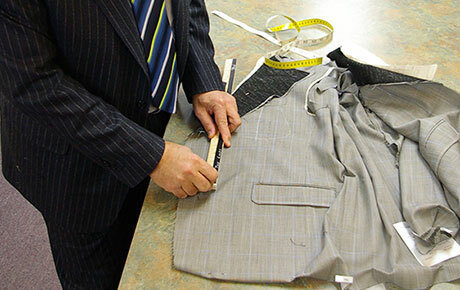 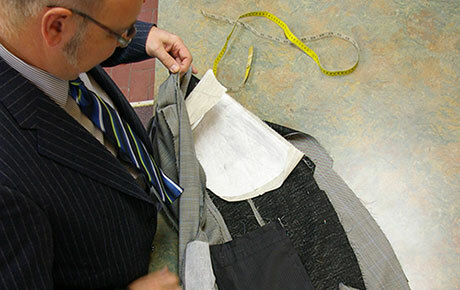 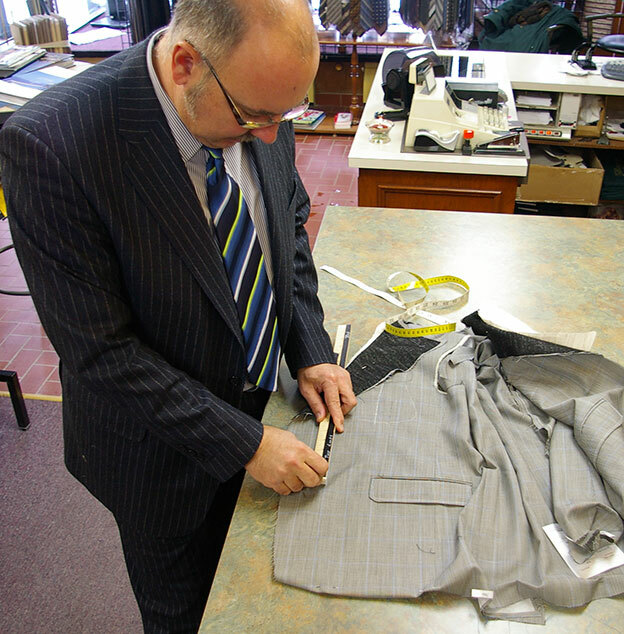 Instant adjustments are performed on the clothes, leading them to perfection.